March is National Women’s History Month, and this year, communities throughout the country – including here in Durham – are honoring visionary women who are champions of peace and nonviolence. In this new CityLife episode, Host Beverly B. Thompson sits down with Diane Jones, Chapter Leader of Parents of Murdered Children and Human Relations Manager for the City of Durham, Phillip Jordan to find out how we all can learn from those who are leading the way in rejecting violence and embracing peace ... See More as a way to resolve conflicts. 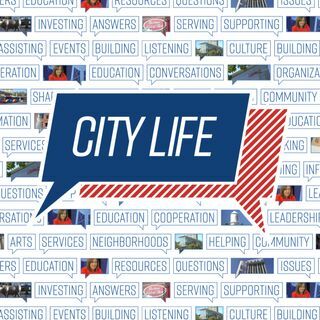 CityLife, a talk show that features information on current City issues and upcoming events, airs daily on Durham Television Network (Spectrum ch. 8 and AT&T U-verse ch. 99) and on YouTube. For more information about the City of Durham, call (919) 560-4123, like on Facebook, and follow on Twitter, Instagram, and Nextdoor. City Life is now an audio podcast! Find it on iTunes or wherever you get your podcast.